At Archfield we are fortunate enough to have five outdoor spaces and we utilise these areas in all weathers. We provide waterproof overalls for our children that aren’t yet mobile to ensure that they can enjoy the benefits of outdoor play without getting too soggy! We also ask parents of our older children to provide waterproofs and wellington boots throughout the year as we never know when there is going to be perfect ‘puddle-splashing’ weather here in Bristol! We are very lucky to have such a large outdoor space situated so close to the city so the children really are at an advantage! We have distinct areas for our under twos and over twos as well as a large sand pit and even a story garden! We value our outdoor space as an extension of the indoor environment and we ensure that the children are provided with different challenges and skills. 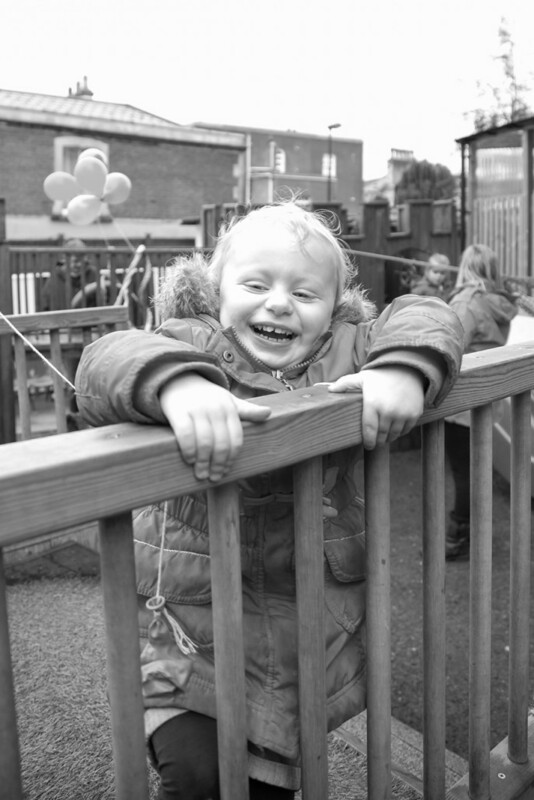 The outdoor space has a significant role in many fundamental aspects of young children’s health and development including the four principles of the Early Years Foundation Stage. Key persons plan for children’s individual interests daily in the outdoor environment, ensuring there is plenty of exciting, risk taking experiences for the children to explore. We have also established a ‘Garden Committee’ which collects ideas from children, staff and parents to enable us to extend the provision further. We acknowledge the benefits of outdoor play each and every day and feel confident that the children are able to reach their full potential through what the various areas can offer.